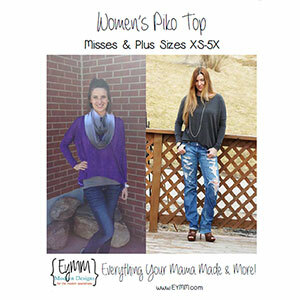 This oversized, loose fitting and flowy piko style top is all about comfort. This trendy style of top has been popular in Europe and Asia and is quick to make, as well as versatile with multiple hem & sleeve options. It is modest, yet still allows you to stay cool and the shape makes it easy for hard to fit shapes as-is! Perfect for those draping knits you find all the time but don’t know what to make out of them. 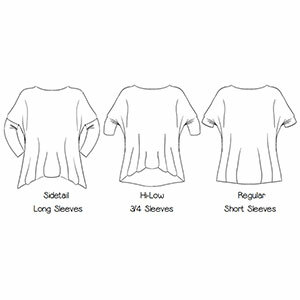 Not only is it a quick sew, but it is easy to adjust the length for tall or petite body types OR to lengthen into a longer tunic. It includes 3 hem options: sidetail, hi-low and regular as well as 3 sleeve options: short, 3/4 and long sleeve. 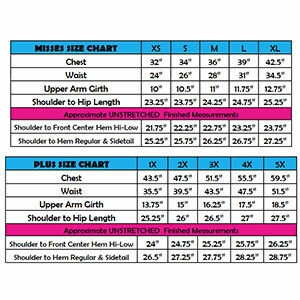 This womens top comes in sizes XS through 5X and is recommended for confident beginners.